The exact causes of primary brain tumors are unknown. Genetic factors and inherited disorders play a role in some types of brain tumors. Risk factors for brain tumors vary according to the type of tumor. Some types of tumors are more prevalent in men than in women. Some types of brain tumors usually occur in children, while others are more common in older people. Brain tumors produce a variety of symptoms including headache, seizure, and neurological changes. 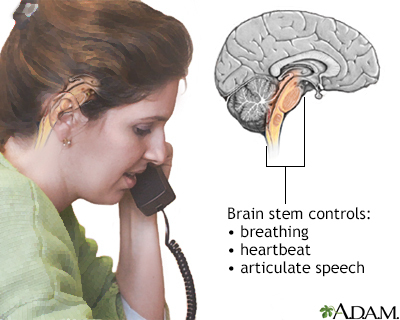 Symptoms may be subtle and gradually become worse or they may occur very rapidly. 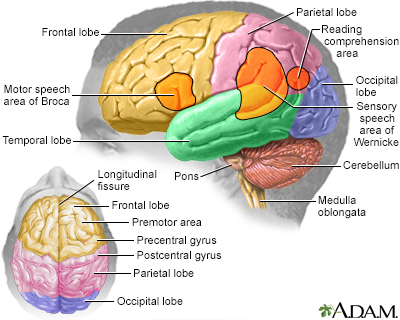 Diagnosis of a brain tumor involves a neurological exam and various types of imaging tests. 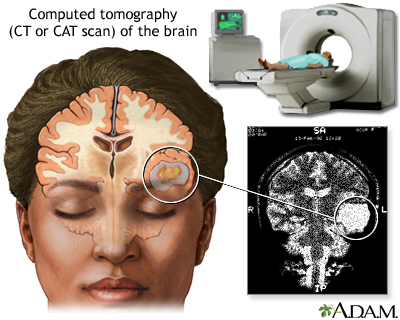 Imaging techniques include magnetic resonance imaging (MRI), computed tomography (CT), and positron emission tomography (PET) scan. Biopsies may be performed as part of surgery to remove a tumor, or as a separate diagnostic procedure. The standard approach for treating brain tumors is to reduce the tumor as much as possible using surgery, radiation treatment, or chemotherapy. Such treatments are typically used in combination with each other. Brain tumors are composed of cells that exhibit abnormal growth in the brain. tumors. Primary tumors start in the brain. Secondary tumors spread to the brain from another site such as the breast or lung. This report focuses on primary malignant brain tumors. Primary brain tumors can be either benign (non-cancerous) or malignant (cancerous). Benign tumors represent half of all primary brain tumors. Their cells look relatively normal, grow slowly, and DO NOT spread (metastasize) to other sites in the body or invade brain tissue. Benign tumors can still be serious if they are in vital areas in the brain. They can be life threatening if they exert pressure on sensitive nerve tissue or if they increase pressure within the brain. Fortunately, most benign brain tumors can be successfully treated. A primary malignant brain tumor is cancer that originates in the brain itself. Although primary brain tumors often transmit cancerous cells to other sites in the central nervous system (the brain or spine), they rarely spread to other parts of the body. The biologic diversity of these tumors can make classification difficult. A secondary brain tumor is metastatic cancer. Secondary brain tumors occur when cancer cells spread (metastasize) to the brain from a primary cancer in another part of the body. Most often, cancers that spread to the brain originate in the lung, breast, kidney, or skin. Secondary tumors are about 3 times more common than primary tumors of the brain. All secondary (metastatic) brain tumors are malignant (cancerous). This report discusses primary malignant brain tumors. Gliomas are not a specific type of cancer but are a term used to describe tumors that originate in glial cells. Glial cells are the building-block cells of the connective, or supportive, tissue in the central nervous system. Grades I and II tumors are the slowest-growing and least malignant; grade I tumors are generally considered borderline between benign and malignant. Grade III tumors are considered malignant and grow at a moderate rate. Grade IV tumors, such as glioblastoma multiforme, are the fastest-growing and most malignant primary brain tumors. Gliomas may develop from several types of glial cells. 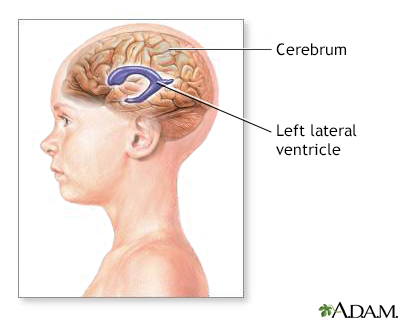 is one of the most common types of glioma in children. (also called low-grade astrocytoma) typically occurs in men and women ages 20 to 60.
typically occurs in adults ages 30 to 60 and is more common among men than women. , also called glioblastoma, accounts for about 50% of all astrocytomas and is one of the deadliest types of brain tumors. These highly malignant aggressive tumors grow rapidly. They are most common in older adults (ages 50 to 70), particularly men. Only about 10% of childhood brain tumors are glioblastomas. Develop from oligodendrocyte glial cells, which form the protective coatings around nerve cells. Oligodendrogliomas are classified as either low-grade (grade II) or anaplastic (grade III). Pure oligodendrogliomas are rare. In most cases they occur in mixed gliomas. Oligodendrogliomas usually occur in younger and middle-aged adults. Are derived from ependymal cells, which line the ventricles (fluid-filled cavities) in the lower part of the brain and the central canal of the spinal cord. They are one of the most common types of brain tumor in children. They can also occur in adults in their 40s and 50s. Ependymomas are divided into four categories: Myxopapillar ependymomas (grade I), subependymomas (grade I), ependymomas (grade II), and anaplastic ependymomas (grades III and IV). Contain a mixture of malignant gliomas. About half of these tumors contain cancerous oligodendrocytes and astrocytes. Gliomas may also contain cancer cells derived from brain cells other than glial cells. Brain stem gliomas develop in the lowest portion of the brain. The brain stem connects the cerebrum (the largest part of the brain) to the spinal cord. Between 10% to 20% of brain tumors in children are brain stem gliomas. Most of these tumors are astrocytomas. Cerebellar astrocytomas occur in the cerebellum part of the brain, which controls balance and coordination. 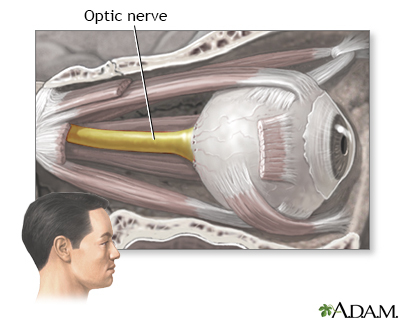 Optic gliomas occur in the optic nerve and other parts of the eye. They primarily affect children younger than age 10. About 20% of children with the genetic disorder neurofibromatosis 1 (NF-1) develop optic gliomas. Pilocytic astrocytoma and fibrillary astrocytoma are common types of optic gliomas. 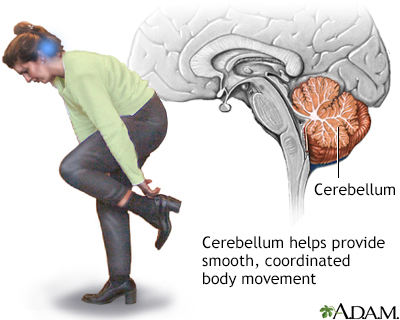 Are always located in the cerebellum, which is at the base and toward the back of the brain. These fast-growing high-grade tumors represent about 15% to 20% of pediatric brain tumors and 20% of adult brain tumors. 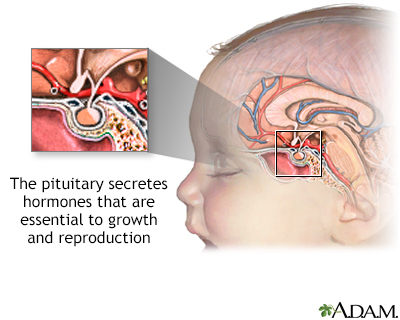 Pituitary tumors (also called pituitary adenomas). Comprise about 10% of primary brain tumors and are often benign, slow-growing masses in the pituitary gland. They are more common in women than men. Central nervous system (CNS) lymphomas. Can affect both people with healthy immune systems and those who are immunocompromised due to other medical conditions (recipients of organ transplants, people infected with HIV). CNS lymphomas occur most often in the cerebral hemisphere but can also develop in cerebrospinal fluid, eyes, and spinal cord. 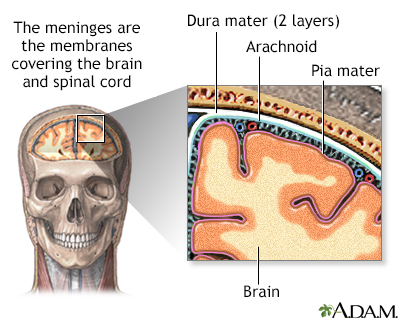 Are usually benign tumors that develop in the membranes that cover the brain and spinal cord (the meninges). Meningiomas account for about 25% of all primary brain tumors and are most common in women in their 60s and 70s. Meningiomas are classified as benign meningioma (grade I), atypical meningioma (grade II), and anaplastic meningioma (grade III). Certain types of brain tumors are specifically linked with these genetic conditions. For example, neurofibromatosis 1 is associated with about 15% of cases of pilocytic astrocytomas, the most common type of childhood glioma. Most genetic abnormalities that cause brain tumors are not inherited but occur as a result of environmental or other factors that affect genetic materials (DNA) in the cells. Researchers are studying various environmental factors (such as viruses, hormones, chemicals, and radiation) that may trigger the genetic disruptions that lead to brain tumors in susceptible individuals. They are also working to identify the specific genes that are affected by these environmental triggers. 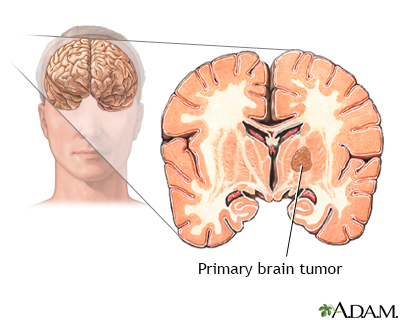 Primary malignant brain tumors account for about 2% of all cancers. However, brain and spinal cord tumors are the second most common type of cancer in children (after leukemia). In general, brain tumors are slightly more likely to occur in men than in women. Some specific types of brain tumors, such as meningiomas, are more common in women. Most brain tumors in adults occur between the ages of 65 to 79. Brain tumors also tend to occur in children younger than age 8. In children, malignant brain tumors are the leading cause of death from solid tumors (non-blood cell cancers). The risk for primary brain tumors, especially gliomas, is higher in whites than in people of other races. Exposure to ionizing radiation, usually from radiation therapy, is the only environmental risk factor that has been definitively linked to brain tumors. People who receive radiation therapy to the head during cancer treatment have an increased risk of developing brain tumors 10 to 15 years later. Workers in the nuclear industry are also at increased risk. Despite much research, there is no evidence that electromagnetic field exposure from power lines or household appliances poses any risk. Several epidemiological studies have examined the cancer risk of wireless devices such as cell phones, which emit radiofrequency (RF) energy. To date, studies DO NOT show an association between cell phone use and common brain tumors like gliomas and meningiomas. However, more research is needed to examine potential long-term effects, particularly for children and adolescents. Researchers have also investigated a number of metals and chemicals including vinyl chloride, petroleum products, lead, arsenic, mercury, and pesticides. To date, there has been no clear evidence that implicates any specific industrial chemical or metal. Research continues. People with impaired immune systems have an increased risk of developing central nervous system lymphomas. Organ transplantation, HIV infection, and chemotherapy are some medical factors that can weaken the immune system. Advances in surgical and radiation treatments have significantly extended survival for people with brain tumors. These new treatments can often help reduce the size and progression of malignant gliomas. Some types of tumors have relatively good survival rates. Five-year survival rates for people with ependymoma and oligodendroglioma are, respectively, up to 91% and 85% for people ages 20 to 44, and 84% and 64% for people ages 55 to 64. For children, the survival rate for these brain tumors are about 75% and 95%. Glioblastoma multiforme has the worst prognosis with 5-year survival rates of only about 17% for people ages 20 to 44 and 4% for people age 55 to 64. The 5-year survival rate for children is about 20%. Survival rates tend to be highest for younger people and decrease with age. Malignant primary brain tumors are classified according to tumor grade. Grade I is the least cancerous, and Grades III and IV are the most dangerous. Grading a tumor can help predict its growth rate and tendency to spread. Lower-grade (I and II) tumor cells are well-defined and almost normal looking. Some primary low-grade brain tumors are curable by surgery alone, and some are curable by surgery and radiotherapy. Low-grade tumors tend to have the most favorable survival rates, and high-grade the poorest outlook. However, this is not always the case. For example, some low-grade II gliomas are at very high risk for progression. Higher-grade (III and IV) tumor cells are abnormal appearing and are more diffuse, which indicates more aggressive behavior. High-grade brain tumors usually require surgery, radiotherapy, chemotherapy, and possibly investigational treatments. In tumors that contain a mixture of different-grade cells, the tumor is graded according to the highest-grade cells in the mixture, even if there are very few of them. Brain tumors can produce a variety of symptoms, ranging from headache to seizure. They are great mimics of other neurologic disorders. Symptoms occur if the tumor directly damages the nerves in the brain or central nervous system, or if its growth puts pressure on the brain. Symptoms may be subtle and gradually become worse, or they may occur very rapidly. Headache is probably the most frequent symptom of a brain tumor. However, headaches (especially tension-type and migraine) are very common, and the great majority of headaches are not caused by brain tumors. Most headaches associated with brain tumors are accompanied by other neurological symptoms. Headaches caused by brain tumors vary depending on the tumor's location and other factors. Such headaches may have similar symptoms to other less serious types of headaches such as migraine, tension headache, or others. Gastrointestinal symptoms, including nausea and vomiting, are common. About half of people with brain tumors have a seizure. It is a common symptom of brain tumors in older adults. A seizure may be the first symptom of a brain tumor in up to half of affected people. Partial seizures are caused by localized tumors that affect one area of the brain. In this case, a person does not lose consciousness but may have confusion, jerking movements, tingling, or odd mental and emotional events. Generalized seizures, cause loss of consciousness and are often associated with jerking movements of the whole body. In people with brain tumors, most generalized seizures start off in a specific area of the brain and then spread to involve the whole brain (partial seizures with secondary generalization). A neurological exam is usually the first test given when a person complains of symptoms that suggest a brain tumor. The exam includes checking eye movements, hearing, sensation, muscle strength, sense of smell, and balance and coordination. The doctor will also test mental state and memory. Advanced imaging techniques are an essential part of the diagnosis of brain tumors. MRI is the standard imaging procedure for diagnosing a brain tumor. It provides pictures from various angles that can help doctors to construct a 3-dimensional image of the tumor. It gives a clear picture of tumors near bones, smaller tumors, brain stem tumors, and low-grade tumors. MRI is also useful during surgery to show tumor bulk, for accurately mapping the brain, and for detecting response to therapy. An MRI of the brain creates a detailed image of the complex structures in the brain. An MRI creates a 3-dimensional picture of the brain, which allows doctors to more precisely locate problems such as tumors or aneurysms. Uses a sophisticated x-ray machine and a computer to create a detailed picture of the body's tissues and structures. It is not as sensitive as an MRI in detecting small tumors, brain stem tumors, and low-grade tumors. However, it is useful in certain situations. Injection with a contrast material can make it easier to see abnormal tissues. A CT scan helps locate the tumor and can sometimes help determine its type. It can also help detect swelling, bleeding, and associated conditions. CT is also used to evaluate the effectiveness of treatments and monitor for tumor recurrence. PETprovides a picture of the brain's activity rather than its structure by tracking a sugar that has been labeled with a radioactive tracer. It is sometimes able to distinguish between recurrent tumor cells and dead cells or scar tissue caused by radiation therapy. PET is not routinely used for diagnosis, but it may supplement MRIs to help determine tumor grade after a diagnosis. Data from PET may also help improve the accuracy of newer radiosurgery techniques. PET scans are often done along with a CT scan. is similar to PET but is not as effective in distinguishing tumor cells from destroyed tissue after treatments. It may be used after CT or MRI to help distinguish between low-grade and high-grade tumors. scans measure the magnetic fields created by nerve cells as they produce electrical currents. It is used to evaluate functioning in various parts of the brain. However, this procedure is not widely available. evaluates blood flow. MRA may be used to plan surgical removal of a tumor suspected of having a large blood supply. 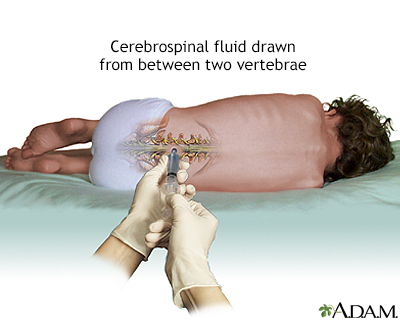 A spinal tap (lumbar puncture) is used to obtain a sample of cerebrospinal fluid, which is examined for the presence of tumor cells. Spinal fluid may also be examined for the presence of certain tumor markers (substances that indicate the presence of a tumor). A biopsy is a surgical procedure in which a small sample of tissue is taken from the suspected tumor and examined under a microscope for malignancy. The results of the biopsy also provide information on the cancer cell type. Biopsies may be performed as part of surgery to remove a tumor, or as a separate diagnostic procedure. In some cases, such as with brain stem gliomas, a standard biopsy might be too hazardous because removing any healthy tissue from this area can affect vital functions. In these cases, surgeons can use alternative techniques such as needle biopsy and stereotactic biopsy. Stereotactic biopsy is a computer-directed type of needle biopsy that uses images provided from MRI or CT scans to provide precise information on the tumor's location. The Wada test is sometimes done before surgery. Medicine is given through a catheter and into each side of the brain, one side at a time. The person is asked to talk and perform other functions while each side of the brain is under the effect of the medicine. This enables the doctors to know if surgery for the tumor might affect certain brain functions, particularly language. The standard approach for treating brain tumors is to reduce the tumor as much as possible using surgery, radiation therapy (also called radiotherapy), or chemotherapy. Such treatments are used alone or, more commonly, in combination with one another. The person's age, health status, and medical history. Unlike other types of cancer, there is no formal staging system for brain tumors. With some very slow-growing cancers, such as those that occur in the midbrain or optic nerve pathway, the person may be closely observed and not treated until the tumor shows signs of growth. Tumor Treating Fields (TTF) therapy uses a low-intensity electrical field to disrupt the rapid division of cancer cells. In 2011, the FDA approved the NovoTTF-100A system to treat adults with newly diagnosed glioblastoma multiforme that has recurred or progressed despite chemotherapy and radiation. This device uses electrodes placed on the person's scalp to deliver alternating electrical fields to the tumor site. The device is portable and can be used at home. People with brain tumors can enroll in clinical trials that are researching new treatments. Surgery is usually the first step in treating most brain tumors. In some cases, such as most brain stem gliomas and other tumors located deep inside the brain, it may be too dangerous to perform surgery. The objective of most brain tumor surgeries is to remove or reduce as much of the tumor's bulk as possible. Reducing the tumor's size can help make other treatments, particularly radiotherapy, more effective. The standard surgical procedure is called craniotomy. The neurosurgeon removes a piece of skull bone to expose the area of brain over the tumor. The tumor is located and then removed. Click on the icon to see an illustrated series detailing craniotomy surgery. In stereotactic craniotomy, imaging techniques, such as CT and MRI scans, are used along with surgery to help map the area of the tumor in the brain. Relatively benign, grade I gliomas may be treated only by surgery. Most malignant tumors require additional treatments, including repeat surgery. Sometimes a brain tumor can create blockage and cerebrospinal fluid accumulates excessively in the skull, causing increased intracranial pressure. In these cases, a surgeon may implant a ventriculoperitoneal (VP) shunt to help drain the fluid. The procedure involves placing a thin catheter into a brain ventricle and connecting it to a catheter that is tunneled into the abdominal (peritoneal) cavity. A pump that controls the flow of fluid is attached to both catheters. The most serious concern of brain surgery is preserving brain function. Neurosurgeons will try to be conservative in their approach so as to limit removing tissue that may cause a loss of function. Bleeding and blood clots are other complications. Postsurgical complications include swelling in the brain, which is typically treated with corticosteroid drugs. Steps are taken to reduce the risk of blood clots during the postoperative period. Radiation therapy, also called radiotherapy, plays a central role in the treatment of most brain tumors. Various radiation treatments are used. Radiation is usually given externally, from a source outside the body that directs radiation beams. In some cases, internal radiation may be used as a booster to external-beam radiation. Internal radiation (also called interstitial radiation) generally involves brachytherapy, which uses radioactive "seeds" implanted directly in the tumor site. When it appears that the entire tumor has been surgically removed microscopic cancer cells often remain in the surrounding brain tissue. Radiation targets the residual tumor with the goal of reducing its size or stopping its progression. If the entire tumor cannot be removed safely, postoperative radiotherapy is often recommended. Even some benign gliomas may need radiation, since they may become life threatening if their growth is not controlled. Radiotherapy may be used instead of surgery for inaccessible tumors or for tumors that have properties that are particularly responsive to radiotherapy. Combining chemotherapy with radiotherapy is beneficial for some people with high-grade tumors. Conventional radiotherapy uses external beams aimed directly at the tumor and is usually recommended for large or infiltrating tumors. It begins about a week after surgery and continues on an outpatient basis about 5 days per week for 6 weeks. Older adults tend to have a more limited response to external-beam radiation therapy than younger people. uses computer-generated imaging scans to map the tumor's location. Radiation beams are then used that conform to the 3-dimensional shape of the tumor. is a more advanced and higher-dose form of 3D-CRT. is also similar to 3D-CRT but uses proton beams instead of x-ray energy. Stereotactic radiosurgery, also called stereotactic radiotherapy or stereotaxy, is an alternative to conventional radiotherapy that allows highly targeted radiation to be delivered directly to small tumors while avoiding healthy brain tissue. Stereotactic radiosurgery is radiation therapy, not surgery. The term radiosurgery is used because the destruction is so precise that it acts almost like a surgical knife. Stereotaxy allows precisely focused beams to be delivered with less damage to surrounding tissues. Because the beams are so focused and localized, stereotaxy can deliver higher x-ray doses than conventional radiotherapy. Stereotactic radiosurgery can help reach small gliomas or other tumors in the brain or spinal cord that cannot be surgically removed. The radiation is usually delivered in a single session, but it can be repeated if necessary. Stereotactic radiosurgery can also be used as a "booster" after conventional radiation therapy. Combining stereotaxy with techniques that evaluate speech and other mental functions in people who are awake during the procedure can allow removal of brain tissue with a lower risk for complications in areas that affect such functioning. First, a local anesthetic is given. In the standard operation, the person's head is immobilized by screwing a device known as a stereotactic frame into the skull. "Frameless" stereotaxy uses a mesh face mask. The frame or mask is removed when the procedure is completed. 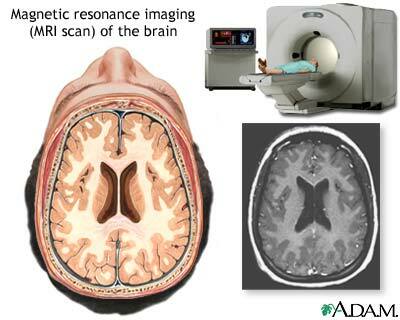 A 3-dimensional map, usually using magnetic resonance imaging (MRI) scans, is made of the brain. A computer program calculates dosage levels and specific areas for radiation targeting. uses gamma rays that are sent from multiple points to converge at a single point on the tumor. Although each gamma-ray beam is a very low dosage, when the beams converge, the intensity and destructive power is very high. The gamma knife is used only on very small tumors. It is generally used as a booster after standard radiation, surgery, chemotherapy, or combinations. produces protons (positively-charged atomic particles) in patterns that are matched to the tumor shape. The person is positioned on a bed that can be moved to allow flexible positioning. It allows treatment over multiple sessions of small doses (fractionated stereotactic radiotherapy), instead of a single session. This means that larger tumors can be treated. Drugs such as amifosistine (Ethyol, generic) may protect healthy cells during radiation. Drugs such as fluorouracil (5-FU) and cisplatin (Platinol, generic) may help make cancerous cells more sensitive to radiation. Skin irritation and sensitivity may develop in the areas being treated. Brain swelling (edema) is another common radiotherapy side effect, which can sometimes cause an increase in neurologic symptoms. Edema can be treated with steroids. Radiation necrosis (total destruction of nearby healthy tissue) occurs in some people treated with intensive radiation. Radiation necrosis can cause brain swelling and reduction in mental functions. The condition is treated with steroids. If steroids prove ineffective, surgery may be required to remove the damaged tissue. Radiation therapy for childhood cancer is the most important risk factor for developing new brain and spinal column tumors. The risk appears greatest for children who received radiation therapy before age 5. The risk of second primary tumors increases in relation to the radiation dose used to treat the first cancer. Survivors of childhood brain tumors who were treated with high doses of cranial radiation (especially doses greater than 50Gy) may be at increased risk of having a stroke later in life. Chemotherapy uses drugs to kill or alter cancer cells. Chemotherapy is not an effective initial treatment for low-grade brain tumors. This is mostly because many drugs have a hard time passing into the brain due to the blood-brain barrier that protects the brain from harmful chemicals. In addition, not all types of brain tumors respond to chemotherapy. In general, chemotherapy for brain tumors is usually administered following surgery or radiation therapy. Drugs, which pass to the brain from the bloodstream, may be given by mouth, injected into a vein through an IV, or injected into an artery or a muscle. Drugs are placed within or around the brain tumor. Uses disc-shaped polymer wafers (known as Gliadel wafers) soaked with carmustine, the standard chemotherapeutic drug for brain cancer. The surgeon implants the wafer directly into the surgical cavity after a tumor is removed. Delivers chemotherapeutic drugs directly into the spinal fluid. Delivers high-dose chemotherapy into arteries in the brain using tiny catheters.
. CED involves placing catheters into the brain tumor or nearby brain tissue to deliver slowly and continuously a cancer drug over several days. Temozolomide is used for adults with anaplastic astrocytoma that did not respond to other treatments. It is used during and after radiation therapy for people newly diagnosed with glioblastoma multiforme. The current first-line treatment for people with glioblastoma is combined radiotherapy and temozolomide, followed by monthly doses of temozolomide after radiation treatment ends. The drug may work best for people with a specific genotype. Temozolomide's side effects are relatively minor, but may include constipation, nausea and vomiting, fatigue, and headache. The drug is taken by mouth as a pill. Carmustine is used to treat many types of brain tumors, including glioblastoma, medulloblastoma, and astrocytoma. Carmustine is usually administered into the vein by IV. It can also be delivered through a wafer implant (Gliadel), which is surgically placed into the brain cavity after tumor removal. Intravenous carmustine may cause bone marrow impairment, which results in decreased production of blood cells (a condition called myelosuppression). If carmustine is delivered through a wafer, side effects may include seizures, brain swelling, and infection within the brain cavity. PCV is an abbreviation for a chemotherapy regimen that combines procarbazine (Matulane), lomustine (CeeNU, CCNU), and vincristine (Oncovin, generic). PCV is commonly used to treat oligodendrogliomas and mixed oligoastrocytomas. The regimen has shown good results following radiation in treating people with low-grade gliomas. The drugs may be used alone or in other combinations. Cisplatin (Platinol, generic) and carboplatin (Paraplatin, generic) are standard cancer drugs that are sometimes used to treat glioma, medulloblastoma, and other types of brain tumors. These drugs are delivered by IV. In addition to nausea and vomiting, carboplatin can cause hair loss, and cisplatin can cause muscle weakness. Researchers are investigating whether drugs used to treat other types of cancer may have benefits for brain tumors. Traditional chemotherapy drugs can be effective, but they can cause severe side effects because they DO NOT distinguish between healthy and cancerous cells. Targeted biologic therapies work on a molecular level by blocking specific mechanisms associated with cancer cell growth and division. Because they selectively target cancerous cells, biologic drugs may cause less severe side effects. In addition, these drugs hold the promise of creating options for more individualized cancer treatment based on a person's genotype. Bevacizumab (Avastin) is a biologic drug that blocks the growth of blood vessels that feed tumors (a process called angiogenesis). It is approved for the treatment of glioblastoma in people whose brain cancer has continued to progress after prior treatment with chemotherapy and radiation. Bevacizumab was the first targeted therapy approved for brain tumors, and the first new treatment for glioblastoma in more than a decade. Some recent studies have questioned its effectiveness. Vaccines are among the most promising immunotherapies being tested for slowing the progression of glioblastoma multiforme. Unlike conventional vaccines that are used to prevent disease, these vaccines are used as a cancer treatment. CDX-110 (Rindopepimut) and DCVax-L are two such vaccines. MTOR inhibitors are commonly used to suppress the immune system to prevent rejection after organ transplantation. Everolimus (Afinitor, Afinitor Disperz) is approved for treatment of benign brain tumors associated with a rare genetic condition and for treatment of a rare pediatric brain tumor called subependymal giant cell astrocytoma (SEGA). Everolimus is related to sirolimus (Rapamune) and tacrolimus (Prograf, generic), which are also being investigated for brain tumor treatment. Edema is swelling due to excess fluid retention. Normal brain tissue next to a tumor can swell and cause more pressure in addition to that from the tumor. Edema associated with some tumors, particularly medulloblastomas, interferes with the flow of cerebrospinal fluid and causes hydrocephalus (accumulation of fluid in the skull), which in turn causes a build-up fluid in the ventricles (the cavities) in the brain. The ventricles of the brain are hollow chambers filled with cerebrospinal fluid (CSF), which supports the tissues of the brain. Corticosteroids (commonly called steroids), such as dexamethasone (Decadron), are used to treat peritumoral edema. Side effects include high blood pressure, elevated blood sugar (glucose) levels, mood swings, an increased risk of infection, stronger appetite, facial swelling, and fluid retention, among others. A shunt procedure may be performed to drain fluid. Shunts are flexible tubes used to reroute and drain the fluid. Seizures are common in brain tumors, with younger people having higher risks than older ones. Anti-seizure (anticonvulsant) medications, such as lamotrigine or valproic acid, may treat seizures and are helpful in preventing recurrence. These drugs are not useful in preventing a first seizure, however, and they should not be used routinely to treat people with newly diagnosed brain tumors. Anti-seizure medications should be used only for people who have experienced a seizure. Anti-seizure medications can interact with some of the chemotherapies used to treat brain cancers, including paclitaxel, irinotecan, interferon, and retinoic acid. People should discuss these interactions with their doctors. Brain tumors often impair muscle function, including speech and fine motor skills. Physical and occupational therapists can assist with rehabilitation for muscle weakness. They can also advise on home modifications, assistive devices, and adaptive tools. Speech therapists can help address problems with talking and word comprehension. People may face challenges with planning, insight, initiative, and organizational competencies. Cognitive rehabilitation therapists can assist in recovery with various techniques. Children younger than age 7 (and particularly those younger than age 3 years) have some of the greatest risks for developing long-term cognitive deficits. These problems may result from the tumor and from treatments such as cranial radiation therapy and chemotherapy that penetrates the blood-brain barrier. Parents should make sure that children receive appropriate supportive services and educational accommodation at their schools. Brain tumors can cause mood, personality, and emotional changes. You should discuss emotional as well as physical issues with your health care team. Depression can be treated medically and through psychotherapy. Relaxation techniques can be helpful. Support groups can also have great benefit for both patients and their families. Buckner JC, Shaw EG, Pugh SL. Radiation plus Procarbazine, CCNU, and Vincristine in Low-Grade Glioma. N Engl J Med. 2016;374(14):1344-1355. PMID: 27050206 www.ncbi.nlm.nih.gov/pubmed/27050206. Clarke J, Butowski N, Chang S. Recent advances in therapy for glioblastoma. Arch Neurol. 2010;67(3):279-283. PMID: 20212224 www.ncbi.nlm.nih.gov/pubmed/20212224. Deangelis LM. Tumors of the central nervous system. In: Goldman L, Schafer AI, eds. Goldman's Cecil Medicine. 25th ed. Philadelphia, PA: Elsevier Saunders; 2016:chap 189. Frei P, Poulsen AH, Johansen C, Olsen JH, Steding-Jessen M, Schüz J. Use of mobile phones and risk of brain tumours: update of Danish cohort study. BMJ. 2011;343:d6387. PMID: 22016439 www.ncbi.nlm.nih.gov/pubmed/22016439. Gilbert MR, Dignam JJ, Armstrong TS, et al. A randomized trial of bevacizumab for newly diagnosed glioblastoma. N Engl J Med. 2014;370(8):699-708. PMID: 24552317 www.ncbi.nlm.nih.gov/pubmed/24552317. INTERPHONE Study Group. Brain tumour risk in relation to mobile telephone use: results of the INTERPHONE international case-control study. Int J Epidemiol. 2010;39(3):675-694. PMID: 20483835 www.ncbi.nlm.nih.gov/pubmed/20483835. Iuchi T, Kuwabara K, Matsumoto M, Kawasaki K, Hasegawa Y, Sakaida T. Levetiracetam versus phenytoin for seizure prophylaxis during and early after craniotomy for brain tumours: a phase II prospective, randomised study. J Neurol Neurosurg Psychiatry. 2015;86(10):1158-1162. PMID: 25511789 www.ncbi.nlm.nih.gov/pubmed/25511789. Lacy J, Saadati H, Yu JB. Complications of brain tumors and their treatment. Hematol Oncol Clin North Am. 2012;26(4):779-796. PMID: 22794283 www.ncbi.nlm.nih.gov/pubmed/22794283. Linskey ME, Andrews DW, Asher AL, et al. The role of stereotactic radiosurgery in the management of patients with newly diagnosed brain metastases: a systematic review and evidence-based clinical practice guideline. J Neurooncol. 2010;96(1):45-68. PMID: 19960227 www.ncbi.nlm.nih.gov/pubmed/19960227. National Cancer Institute website. Adult central nervous system tumors treatment (PDQ®) - health professional version. www.cancer.gov/types/brain/hp/adult-brain-treatment-pdq. Updated January 27, 2016. Accessed October 24, 2016. National Comprehensive Cancer Network website. NCCN Clinical Practice Guidelines in Oncology (NCCN Guidelines®) Central Nervous System Cancers Version 1.2016. www.nccn.org/professionals/physician_gls/pdf/cns.pdf. Accessed October 24, 2016. Olson JJ, Nayak L, Ormond DR. The role of targeted therapies in the management of progressive glioblastoma : a systematic review and evidence-based clinical practice guideline. J Neurooncol. 2014;118(3):557-599. PMID: 24740195 www.ncbi.nlm.nih.gov/pubmed/24740195. Patel TR, Yu JB, Piepmeier JM. Role of neurosurgery and radiation therapy in the management of brain tumors. Hematol Oncol Clin North Am. 2012;26(4):757-777. PMID: 22794282 www.ncbi.nlm.nih.gov/pubmed/22794282. Prabhu RS, Won M, Shaw EG, et al. Effect of the addition of chemotherapy to radiotherapy on cognitive function in patients with low-grade glioma: secondary analysis of RTOG 98-02. J Clin Oncol. 2014;32(6):535-541. PMID: 24419119 www.ncbi.nlm.nih.gov/pubmed/24419119. Ricard D, Idbaih A, Ducray F, Lahutte M, Hoang-Xuan K, Delattre JY. Primary brain tumours in adults. Lancet. 2012;379(9830):1984-1996. PMID: 22510398 www.ncbi.nlm.nih.gov/pubmed/22510398. Rossetti AO, Jeckelmann S, Novy J, Roth P, Weller M, Stupp R. Levetiracetam and pregabalin for antiepileptic monotherapy in patients with primary brain tumors. A phase II randomized study. Neuro Oncol. 2014;16(4):584-588. PMID: 24311644 www.ncbi.nlm.nih.gov/pubmed/24311644. Ryu S, Buatti JM, Morris A, et al. The role of radiotherapy in the management of progressive glioblastoma : a systematic review and evidence-based clinical practice guideline. J Neurooncol. 2014;118(3):489-499. PMID: 24728785 www.ncbi.nlm.nih.gov/pubmed/24728785. Stupp R, Brada M, van den Bent MJ, Tonn JC, Pentheroudakis G; ESMO Guidelines Working Group. High-grade glioma: ESMO clinical practice guidelines for diagnosis, treatment and follow-up. Ann Oncol. 2014;25 Suppl 3:iii93-ii101. PMID: 24782454 www.ncbi.nlm.nih.gov/pubmed/24782454. Stupp R, Taillibert S, Kanner AA, et al. Maintenance therapy with tumor-treating fields plus temozolomide vs temozolomide alone for glioblastoma: a randomized clinical trial. JAMA. 2015;314(23):2535-2543. PMID: 26670971 www.ncbi.nlm.nih.gov/pubmed/26670971. Suh JH. Stereotactic radiosurgery for the management of brain metastases. N Engl J Med. 2010;362(12):1119-1127. PMID: 20335588 www.ncbi.nlm.nih.gov/pubmed/20335588. Taal W, Oosterkamp HM, Walenkamp AM. Single-agent bevacizumab or lomustine versus a combination of bevacizumab plus lomustine in patients with recurrent glioblastoma (BELOB trial): a randomised controlled phase 2 trial. Lancet Oncol. 2014;15(9):943-953. PMID: 25035291 www.ncbi.nlm.nih.gov/pubmed/25035291. Taphoorn MJ, Henriksson R, Bottomley A. Health-related quality of life in a randomized phase III study of bevacizumab, temozolomide, and radiotherapy in newly diagnosed glioblastoma. J Clin Oncol. 2015;33(19):2166-2175. PMID: 26014298 www.ncbi.nlm.nih.gov/pubmed/26014298. Wilne S, Koller K, Collier J, Kennedy C, Grundy R, Walker D. The diagnosis of brain tumours in children: a guideline to assist healthcare professionals in the assessment of children who may have a brain tumour. Arch Dis Child. 2010;95(7):534-539. PMID: 20371594 www.ncbi.nlm.nih.gov/pubmed/20371594. Reviewed By: Amit M. Shelat, DO, FACP, Attending Neurologist and Assistant Professor of Clinical Neurology, SUNY Stony Brook, School of Medicine, Stony Brook, NY. Review provided by VeriMed Healthcare Network. Also reviewed by David Zieve, MD, MHA, Isla Ogilvie, PhD, and the A.D.A.M. Editorial team. Editorial update 03-13-18.